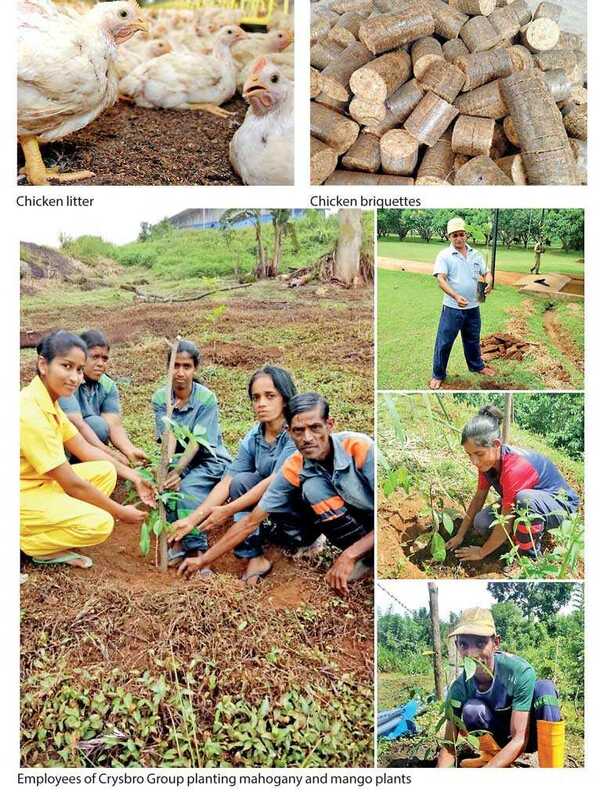 Crysbro, a pioneer in Sri Lanka’s poultry industry, is geared up to launch Sri Lanka’s first-ever alternative energy system fuelled by litter briquettes, which are generated from compressed chicken litter. This innovative concept is predicted to be a concrete solution for environmental pollution caused by unsystematic disposal of chicken litter as well as logging for firewood. “We believe that this is a strategic approach taken by the company towards being a responsible poultry player in the industry. Given that the ground plans are already completed for the chicken briquette project and ready to kick-start, we are proud to announce that Sri Lankan poultry industry will be 100% eco-friendly by early next year,” Bandara commented further. Moreover, Crysbro commemorated World Environment Day on 5 June by distributing 125 plants among employees in 11 business locations. Best employees of each business location were given the opportunity of planting 100 mahogany and 25 mango plants within the factory premises. The plant distribution commenced under the concept of ‘Haritha Sathkaraya’, which was conducted parallel to the eco-initiative introduced by Crysbro. The intention of this initiative was to encourage the entire employee base to become accustomed to an eco-friendly corporate system and be committed towards company’s environmental protection policy. Furthermore, ‘Haritha Sathkaraya Green award’ was initially presented to Galgamuwa Farm at the Crysbro Annual Awards Night 2017. “We believe that this newly introduced accolade will further inspire our employees to adhere to the company’s eco-initiatives and be proud of the fact that their contributions are focused towards the betterment of our environment,” Fortune Agro Industries Group HR and Administration Manager Ranjana Mahindasiri stated. Similarly, Crysbro is also the only chicken producer in Sri Lanka to be awarded with the ISO 14001 certificate for environmental safety management, which is the international standard that confirms the utilisation of effective environmental management systems at CRYSBRO. ‘Farm-to-Fork’ concept has been at the core of our success, and which in turn has provided unprecedented support for numerous stakeholders including direct and indirect employees, out growers, domestic maize farmers, and ultimately, the Sri Lankan consumer.